The night of Friday the 4th of December was a far cry from my usual quiet nights at home. The highlight of the night was my meeting the celebrities who played at The International One Song One People Concert Tour 2015 Johannesburg edition, an awareness gig on Xenophobia. The concert was held at The Bannister Hotel in Braamfontein from 6pm till very late. Khakheni Qebe, alias Paul Nepo Qebe Tlhankana, a songwriter, dancer, music producer, vocalist and guitarist, was the brains behind the show. Khakheni is a humble man who shies away from the spotlight preferring to be behind the scenes rather than on stage. He was born in Lesotho but lives in Soweto. “This is a first on the Gauteng tour and the next venue is Soweto,” says Tsoarelo Nikki Moloi, the manager of the Johannesburg edition and Khakheni’s P.A. Nikki says that they are still to decide on the date and venue of the Soweto show, but is certain it will be in the very near future. Among the line up of the artists who performed is the talented South African outfit, Soulful Mindz. 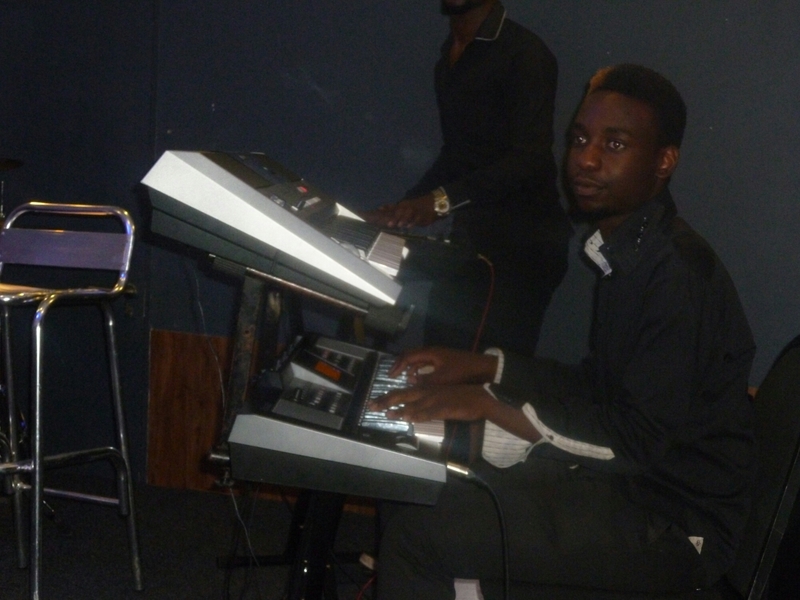 The vibrant group whose members range from 18- 28 years of age was founded by 21 year old Sailas Mutambalika, a drummer, keyboard player and pianist. His sister, Mary, 18, is a backing vocalist in the group. Soulful Mindz blew the audience away with their cover of Letta Mbulu’s Not Yet Uhuru, a track off her 2010 album of the same name. The group’s rendition of the song was so expertly done that the audience begged for a repeat of the track. Similarly, Soulful Mindz got a wildly enthusiastic response to their cover of the Bob Marley hit song, One Love, and had everyone on their feet. Sailas and another member of The Soulful Mindz played instruments for me as I did my inaugural poetry performance. All my fears and stage fright melted away before the warm reception of the appreciative audience. I performed two of my poems: ‘I Am An African’ and ‘Finally Out Of Exile’. audience with her guitar prowess and powerful vocal mastery. She didn’t stay for long, however, and most probably had other engagements elsewhere. Another artist who graced the show is Malawian-born, Chris Kele, a guitarist par excellence. Kele is a song composer, producer and singer who has been living in South Africa for the past seven or eight years. His track Denga Denga which is off his 2013 album Ulendo, is a beautiful Malawian traditional church track with a smooth saxophone Jazzy feel interwoven with traditional marimba melodies. Ulendo, which means ‘journey’, in English, is a tribute to his late wife, Bertha Khulani who died in South Africa on the 7th of November in 2013. However, on Friday, Kele did not do any solo performance though he played with some of the artists who performed including Zimbabwe’s Maizoni Tazvitya aka I-Maze who was backed by The Soulful Mindz. They performed Zimbabwe musical icon Oliver Mtukudzi’s Wongororo, a track from his 2002 album Vhunze Moto. The performance was an apt tribute to the superstar who was, coincidentally, and on the same evening, celebrating forty years in the musical industry. The celebration was at his Pakare Paye arts centre in the small town of Norton, just outside Harare. The Dzivarasekwa born singer, I-Maze worked with Tuku’s Pakare Paye ensemble as a vocalist and percussionist in 2005 before joining the Pamuzinda Dance Company in 2007. In 2012 he recorded his debut eight track album, Ziya (Shona word meaning ‘sweat’). 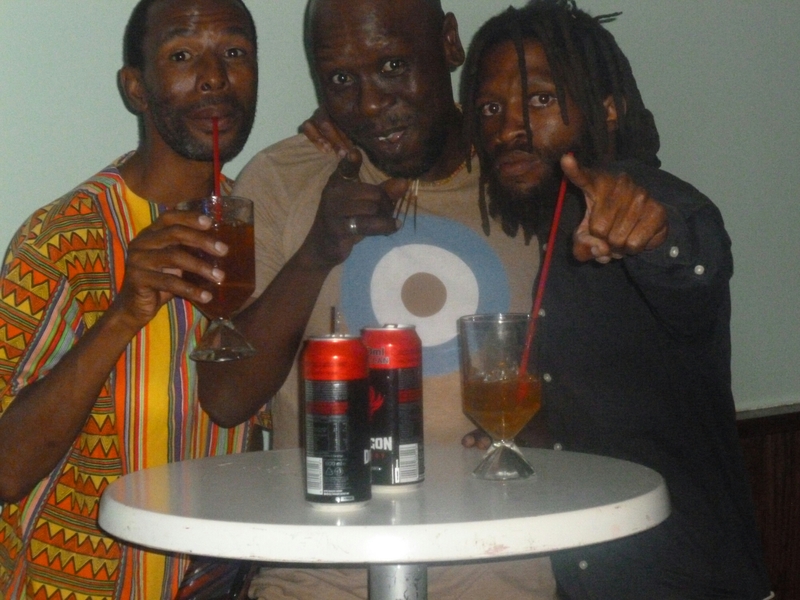 Tazvitya plays Afro-Jazz, although he calls his music Guruuswa, to symbolize what he describes as his lush and fertile African culture and tradition. 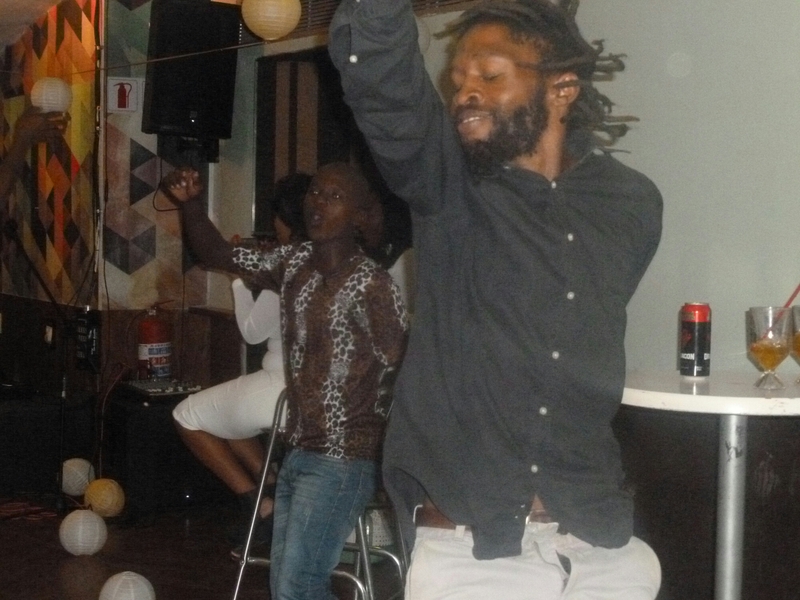 Other performers on the night were King Don and Bheki. Bheki did an incredible lip sync of his CD. The show had a good purpose and deserved greater support than it received from the public. The low attendance could perhaps have been due to the rather stiff tickets. Or could it be that people just don’t care enough about Xenophobia? Whatever the case may be, ‘hats off!’ to all the performers for a job well done.